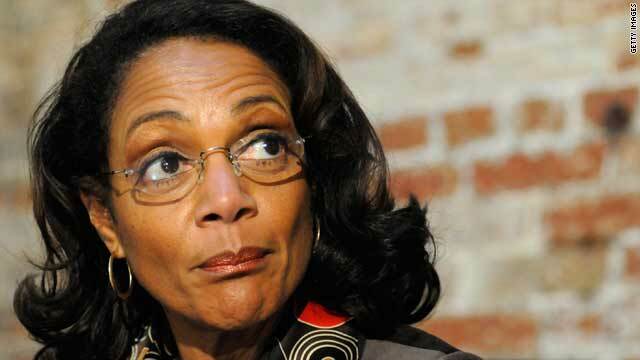 Baltimore Mayor Sheila Dixon was convicted Tuesday on one misdemeanor count of fraudulent misappropriation. (CNN) -- A jury convicted Baltimore Mayor Sheila Dixon on Tuesday of embezzlement for improperly using gift cards intended for the needy, the chief investigator for the state prosecutor's office said. She was found guilty of a single misdemeanor count of fraudulent misappropriation by a fiduciary. She could be removed from office because it is a theft-related crime, James I. Cabezas said. Dixon solicited several cards for her own use from two developers, including Patrick Turner, who testified this month that Dixon asked him to donate gift cards from retailers and have them delivered to her office. He said he spent $1,000 total -- $500 for a Best Buy gift card and $500 for a Target one, according to the Baltimore Sun newspaper. No date was set for sentencing. Cabezas said Dixon, Baltimore's first black female mayor, faces up to five years in prison. She was indicted in January. The 55-year-old mayor was acquitted of two counts of felony theft and one count of misconduct in office in connection to allegations that the Democrat misused gift cards sponsored by the mayor's office and to various stores. In a statement, Dixon said she would continue with her work. "The jury's verdict today does not impact my responsibility to continue serving, and I remain focused on keeping Baltimore on course in these trying economic times," she said. Her spokesman, Scott Peterson, told CNN that the verdict was confusing, since she was also found not guilty of stealing the gift cards. "I don't know how to deal with that," he said in a telephone interview. Jurors deliberated more than six days before reaching their verdict. A second trial is scheduled for March to address Dixon's alleged financial disclosure violations and perjuries, Cabezas said. "The city will still continue to move forward. ... We won't miss a step," Dixon said outside the courthouse after the verdict. Turner "has a significant development project in progress now," Cabezas said. The investigation into alleged wrongdoing at City Hall began in March 2006, when Dixon was on the City Council. Several other people related to the case already have been convicted, Cabezas said. Dixon was president of the City Council when she became mayor in January 2007, after then-Mayor Martin O'Malley was elected governor. She was serving a four-year term in November of that year.